do zombies just come up or wtf? Very good idea but I think Resident Evil and Armed Assault is a very, let's say, heavy combination. With Armed Assault it is easier to f*ck up the game than with UT3 or Half Life 2. But so far it all looks good - I talk about the screenshot because the movie consists only of flics of Resident Evil for the Gamecube. 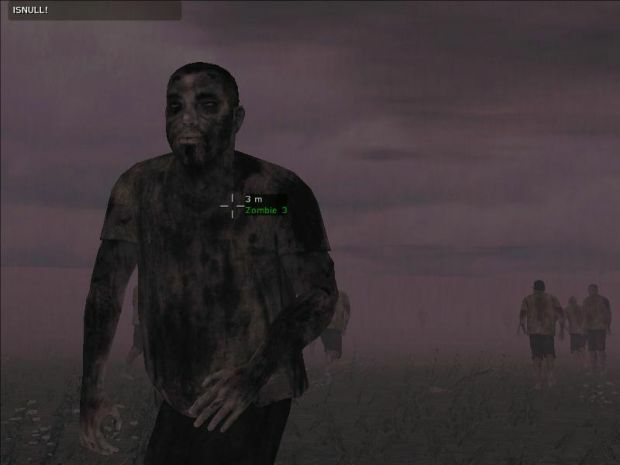 Zombies are fun to play against in arma but they do have some weird bugs that needs fixing. for me when I move into a building all zombies just freeze and do nothing, just standing there like "wtf did he go"